Do you need an NICEIC certified electrician in Norwich? MTS Electrical have 18 experienced, fully NICEIC qualified electricians ready to help you. We cover the whole of Norfolk and will work with you on any electrical job. From fixing a switch to a full electrical rewire, LED lighting design or Emergency Lighting maintenance, from CCTV to P.A.T. Call us on 01493 717 206 or email mark.stocker@mts-electrical.co.uk and find out what MTS-Electrical can do for you. We’ve helped hundreds of local customers avoid problems with their electrical installations by planning regular maintenance programmes that keep buildings safe and compliant with current legislation. We save our customers money, as well by providing lighting efficiency surveys that help you to cut your energy bills. We’re committed to being there whenever you need us. Our emergency call out service means you can have an electrician on your doorstep quickly when you need it the most. 365 days a year. That’s right, even Christmas Day if necessary! NICEIC - What Does It Mean? NICEIC is the UK’s leading regulatory body for the electrical contracting industry. They have been assessing the electrical competence of electricians for nearly sixty years. 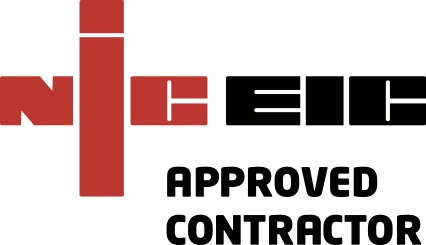 When you use an NICEIC certified contractor you choose a company that promotes safety, integrity and technical excellence.